Nissan has announced that the next generation of its best-selling Qashqai model will be designed, engineered and built in the UK. It represents a £192m investment and safeguards more than 6,000 jobs at Nissan and the supply chain. The design will take place at Nissan's European Design Centre in Paddington, London, before being handed over to engineers at the Nissan Technical Centre Europe in Cranfield, Bedfordshire. The completed car will be built in the company’s Sunderland factory. Making the announcement outside 10 Downing Street, Carlos Ghosn said: “The UK has been a cornerstone of Nissan manufacturing since 1986, with the Sunderland plant setting important benchmarks for quality and efficiency in Europe and around the world. It's the home of the Qashqai, one of Nissan's biggest product successes. And as Nissan's leadership in sustainable transportation grows, the plant will become one of the pillars of our zero-emission manufacturing." 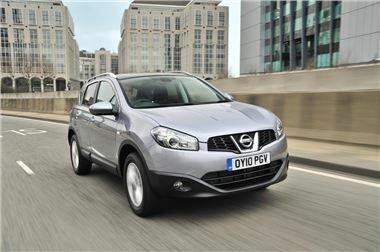 The Qashqai has been a smash-hit for both the Japanese firm and the Sunderland factory. Late rthis month it will produce the one millionth Qashqai and more than 80 per cent of current production is exported to 97 markets worldwide. The production line in Sunderland has been running around the clock for more than a year to meet global demand, producing an average of 1,200 Qashqais per day. Each Qashqai produced has 3,779 parts, of which 83.6% come from one of 224 UK suppliers. Sunderland will also start to produce the 100% electric Nissan LEAF from 2013 and, in a new stand-alone facility, to make lithium-ion batteries for both Renault and Nissan vehicles from 2012. Prime Minister David Cameron said: “This investment from Nissan is fantastic news and a great demonstration of the strength and vitality of the UK car industry. That future manufacturing and R&D has been secured is a tribute to the skill, expertise and hard work of Nissan’s UK workforce. “It is vital that we have a strong manufacturing base to rebalance our economy and secure sustainable economic growth, and it is this Government’s determination that we do all we can to enable businesses to invest, to grow and create jobs.